I’m so excited to feature Oh Be Joyful Creative today for the first blog in a new series! Each Wednesday, we’ll hear from a different wedding vendor about their stories, their tips & tricks for brides, and what they do! 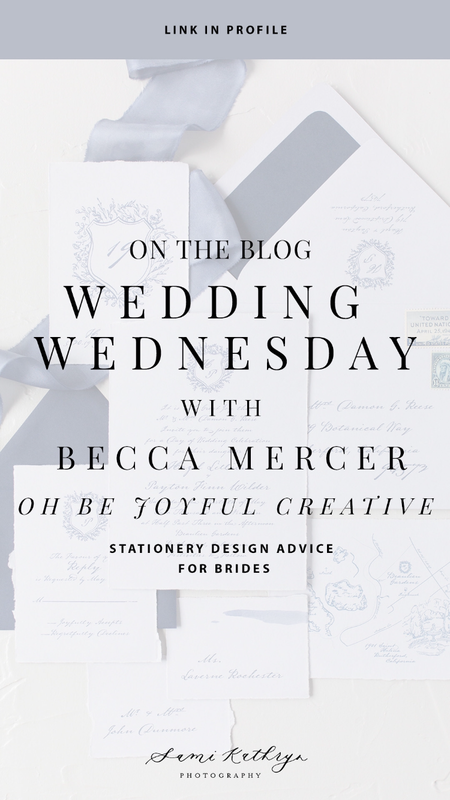 Becca Mercer is the creative mind behind Oh Be Joyful Creative, an invitation design & silk ribbon company based out of Dallas, Texas. Her work is full of detail and intentionality, and she has some great advice to offer brides! Read through her interview below to hear about her inspiration, the way you can incorporate silk ribbon into your wedding, and the importance of communication with your stationery designer! Be sure to visit her website & social media for more design inspiration! WHAT DO YOU LOVE ABOUT WORKING WITH BRIDES TO DESIGN THEIR INVITATION SUITES? Becca: I remember the pressure of being engaged and planning my wedding, the constant thought running through my head, I have to pick the perfect invitations/flowers/dress/cake, because it will be in my photos for the rest of my life! The idea of getting only one shot at something that you will show your children one day can be so overwhelming, and cause a gal to simultaneously lose her mind while forgetting what the whole ordeal is really about. My desire is to help brides through this process in the most stress-free manor possible. I want them to feel known, and as though they have someone who is on their side in all of this. 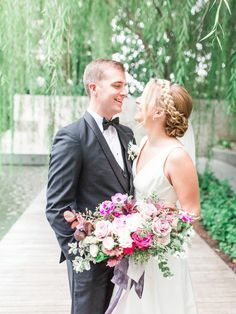 I do my best to help each bride decide what exactly they are wanting and expecting (most have trouble pinpointing these ideas from the billions of gorgeous ideas on Pinterest), and then work hard to bring those ideas into focus with a gorgeous suite that tells their unique story. I am a perfectionist, and I inspect each piece for perfection. It almost gives me a rush when a new suite is coming to life! I love any opportunity to work with another person to create something new. I think my favorite part is simply the wonderful relationships that develop along the way. I always feel a bit of grief after a suite is finished, missing the continual touchpoints that the job offered with that person. Becca: Great question! As a creative, I am first reminded of my God’s creativity in making this world. There is a scene in C.S. Lewis’ book, The Magician’s Nephew, from his Chronicles of Narnia series, in which the lion Aslan sings the world into being. The beauty of that image floors me. All of the intricate details, colors, light and dark… I try to remind myself anything that makes me creative ultimately comes from my Maker. I feel connected to God through the joy of creation. I have recently been spending time illustrating flowers and foliage while my children play in the back yard. These illustrations are featured in many of this year’s suites! And of course, within that realm, while I strive to create unique designs that are unlike any other, I cannot help but be constantly inspired by the work of other creatives. I love this growing culture of collaboration and working together. What a gift to be for one another instead of in competition against each other! WHAT ELEMENTS DO YOU LIKE TO INCORPORATE IN YOUR DESIGNS? Becca: As I mentioned, I have found great satisfaction and growing excitement in placing my own hand-drawn illustrations within my suites. I also relish opportunities for collaboration, and often incorporate calligraphy by Andrea Stimson of Fig & Flourish and artwork by local artists such as Abby & Madeline Shiell. These personal touches serve to set my work apart and hi light other artists in the process! WHAT’S YOUR ADVICE FOR BRIDES ON A BUDGET? Becca: I believe that stationery sets the tone for any event, as well as creates a cohesive design story that brings a wedding together, all the way from Save the Dates to day-of pieces such as programs, menus, signage, etc. That said, I respect that every bride has a budget to stick to. There are so many short-cuts that help achieve the same results as those that pay loads for their stationery! For example, choose an existing design that you love rather than paying a designer to create something new for you! While I strive to keep my Custom design pricing competitive, there is no doubt that brides will save money if they will go with a suite in my Collection. It’s simple to change up colors, fonts & wording so that your final design will be uniquely yours. While special processes like letterpress printing appeal to brides who desire the creme de la creme of stationery, they add a markup that can often be unattainable for a bride on a budget. No worries! I often find that digital printing on thick, quality paper has a similar effect. Oh Be Joyful Creative’s digital printing is top notch, and I only use the best paper, combined with thick, high quality envelopes. Pare it down a bit… decide what pieces are most important and essential to direct your guests where you want them to go. You may not need two information cards, for example. If you are able to minimize your suite to a small amount of pieces (i.e.- Invitation, RSVP card, etc. ), you may be able to afford a little higher quality, either in the printing, personal design such as calligraphy or custom illustration, or details such as hand-dyed silk ribbon. This could also help you have some room to order your day-of pieces, which really set the tone and make everything wonderfully cohesive. In my opinion, the details make the suite. Here’s a fun suggestion… you can call it the “sheet cake” idea, which you will understand if you have met with your cake designer already! Ask your designer to set aside two special sets of their full invitation suite, one for the photographer to get some stunning day-of photos, and one for a keepsake. Go all out using vintage stamps, calligraphy and whatever bells & whistles suit the design. This way, you are paying a small amount for the part you and your Facebook friends will remember. I LOVE THAT IN ADDITION TO DESIGNING INVITATION SUITES, YOU ALSO CREATE HAND-DYED SILK RIBBON! HOW CAN BRIDES INCORPORATE SPECIAL TOUCHES LIKE RIBBON INTO THEIR WEDDING STATIONERY? Becca: Yes! I am thrilled to have added hand-dyed silk ribbon to the business this year. I just love the delicate texture and one-of-a-kind color that these hand-ripped beauties add to my work. The fun thing about this gorgeous product is that it needn’t stop at the invitations! Brides often carry the theme over with coordinating silk cascading from their bouquets, wrapped around boutonnieres, and sometimes even with hand-dyed table runners. It is truly endless, and I am a little obsessed. One mistake that I see many brides make is spending a good deal of cash on lovely stationery, only to allow it to flop around in the envelope during transit, and arrive disheveled. Y’all, I can’t even! Every suite with two or more pieces needs to be tied or bound in some way. 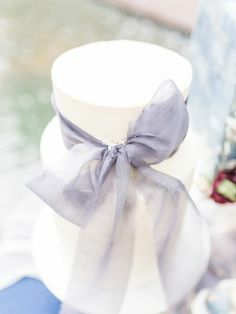 This is something that can be done through the designer, with gorgeous silk ribbon or a crisp belly band, or by simply sitting at a table with your favorite perfectionist friend, wrapping your suites securely in something pretty (approved by your designer of course!). I love to help my brides finish out their suites with creative touches, down to coordinating stamps, wax seals, vellum wraps, envelope liners, digital or calligraphy addressing… the sky’s the limit, but only minimal elements are needed to have a stunning effect. My advice? Don’t let your time and money go to waste, finish it out well. TELL US A BIT ABOUT YOUR BACKGROUND/CAREER PATH. WHAT LED YOU TO START OH BE JOYFUL CREATIVE? I believe it is that idea that led me years ago to become more ingrained in the creative world of Celebration. Before Oh Be Joyful Creative was born, I held many jobs, none of which were actually event planning or graphic design roles, where my I would somehow naturally gravitate towards event planning and design, crafting, graphic design, etc. in the midst of whatever else I was hired to do. Any party I threw was all-out, complete with a coordinating palette, everything thoughtfully put together down to the last detail. I love thinking outside of the box, and while I am a “rule-follower,” I am excellent at finding loopholes to accomplish my creative aims. One funny thing… I have actually, in a sort of tongue-and-cheek way, begun to refer to myself as “The Policy-Maker” to my family and friends. I cannot tell you how many venues I have worked at that made new policies about hanging things, use of confetti, burning candles (I have yet to burn anything down yet, I promise! ), etc. once my event was over! At some point, my brother, Clint (Clint Brewer Photo), and my sister-in-law, Kelly, had the idea to take a crack at an Etsy store specializing in printable party invitations. I designed them, Clint & Kelly did the photos, taxes & business side. Looking back, I have to laugh, because my designs were absolutely horrible compared to my current standard! Despite my lack of quality graphic design know-how, one particular invitation went viral on Pinterest, and became my “bread and butter,” selling frequently and in large quantities. At the same time, I was hired by an amazing lady at my church to spend a year styling and planning her daughter’s South Fork Ranch wedding, simply through God’s provision and my randomly acquired reputation as an events gal. I created almost everything, from the full gold foil letterpress invitation suite, decor for three venues, the painted aisle runner, embossed favor bags, sweetheart table & popcorn table backdrops (which have now received much hype on Pinterest through a feature on theknot.com), etc. She and her daughter also brought me along to most of the appointments with vendors, and I cannot tell you how much experience was gleaned from working through those details, contracts, and with people in the industry who had done it for far longer than I had. 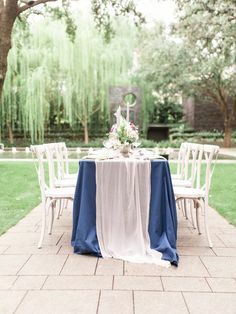 I coordinated the Rehearsal, and of course the wedding day itself, making sure everything was perfection, down to minute details like the silverware placement and requesting that our florist change the color of the roses to what the bride had asked for in her contract. I was ecstatic when the Knot decided to feature it on their website (though sadly they didn’t site my info correctly, but hey, I’ll take it. See it here)! From there, I was deep in it, seriously into wedding stationery and in love with wedding & event planning. Oh Be Joyful Creative was born. In the midst of raising up a small business from scratch, I have also been hard at work raising up two cute little girlies! Evelyn & Lettie, while often making it tough to keep my business running smoothly, are truly God’s mercy to me, sweet little blessings of laughter and giggles running around my home. I wouldn’t trade them for anything. WHAT IS THE BIGGEST PIECE OF ADVICE YOU’D GIVE A BRIDE AS SHE SELECTS HER WEDDING STATIONERY? Finally, enjoy the ride. 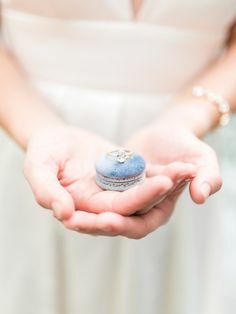 There is no way to know what you will love or regret about your wedding in ten or twenty years, so just have fun with it!